Home > Operations > How do I change or delete the note for the email field when placing an order or registering? 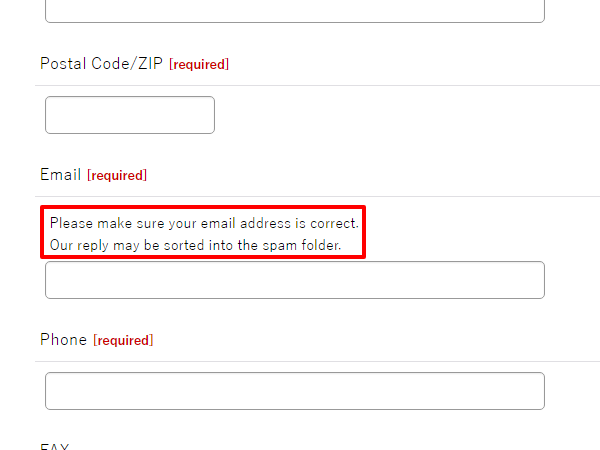 Q.How do I change or delete the note for the email field when placing an order or registering? To change or delete this note, navigate in your Shop Manager to Operations → Customer registration form and scroll down to the Email field note section. Select Hide if you do not wish to display a note here, or change the text in the Note text field. Once you're done making changes, click (Save) at the bottom of the page.